Thinking of investing abroad? Australia may be a good option. Many of us have relatives and friends in this prosperous developed country. Australia has a multicultural society and is quoted as the second best place to live in the world. U.S. publication International Living has published its 2010 Quality of Life Index, which ranks 194 countries based on their quality of life. The index looks at nine categories: cost of living; culture and leisure; economy; environment; freedom; health; infrastructure; safety and risk; and climate. Australia ranks No.2 : Countrywide access to an active and healthy lifestyle. Urban dwellers enjoy plenty of great culture, excellent food and a favorable cost of living. 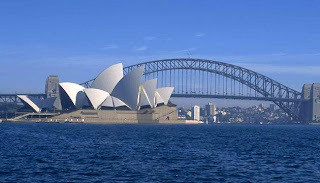 For investment purpose, more importantly is the performance of Australia’s property market. 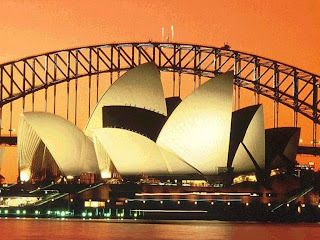 1 March 2010 - Australian real estate prices are rising strongly and show no signs of abating, analysts said Monday, after weekly sales in one state hit a record 1.025 billion dollars (920 million US). "People are confident, they are confident because the economy is going much better than they expected it to," he added. David Airey, president of the Real Estate Institute of Australia (REIA), said Melbourne was one of the country's strongest markets but noted that Australian property prices were in general very strong and rising. "The property market in all Australian capital cities has had a rapid recovery from mid-2009 on, and noticeably in Melbourne and Sydney with property prices rising quite significantly over that six month period," he said. "I think that will be reflected again this quarter with further growth in all capital cities." Airey said Australians felt property was a safe investment, with median house prices rising by 18.5 percent in Melbourne and around the country by more than 12 percent in 2009. "And it's difficult to see this current period of growth stalling, unless it's caused by external factors and significant higher interest rates," he said. The average Australian house cost 334,100 dollars in 2005 and the REIA estimate for 2010 is 481,310 dollars. However, we still need to be careful when investing in property (all the more for oversea property). Read more on property investments – the leverage factor here. For anyone who is serious about selling your house in Australia then it is necessary to find a trustworthy property agent local to your region. An experienced agent should be able to provide you with guidance on valuing the property and any improvements that should be made to make your property more valuable. Thanks for the recommendations. More power! Lisa, appreciate your useful advice on local property agent. Small improvements leads to substantial increase in property value.. yeah that's wonderful. Property Investing advice from npis.com.au help you to find cheap property from local estate agents, developers and private owners. Short sale... nope. Anyone out there can share?